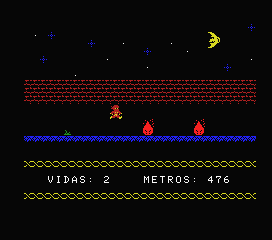 The MSX-BASIC 2012 Contest organized by Konamito.com provides us a third finished game, 4 days before the deadline ! 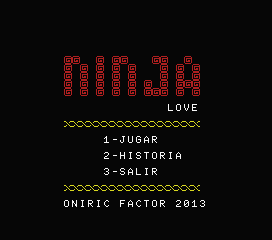 Ninja Love is a fast dexterity game, created by Oniric Factor, a new Spanish coder who challenges us on an infernal road, where a little Ninja needs to avoid deadly traps by jumping at the right time with the up cursor. The package includes the DSK and ROM versions, the BAS file and the listing (ASCII version of the BAS file) are also available.